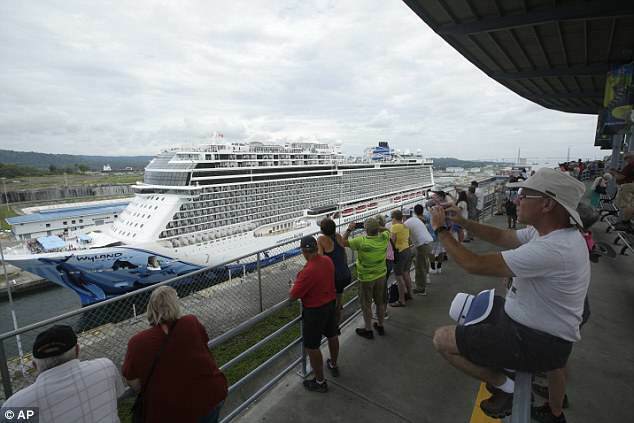 Norwegian Cruise Line’s newest ship, Norwegian Bliss, has set a record by becoming the largest passenger vessel to enter the Panama Canal. 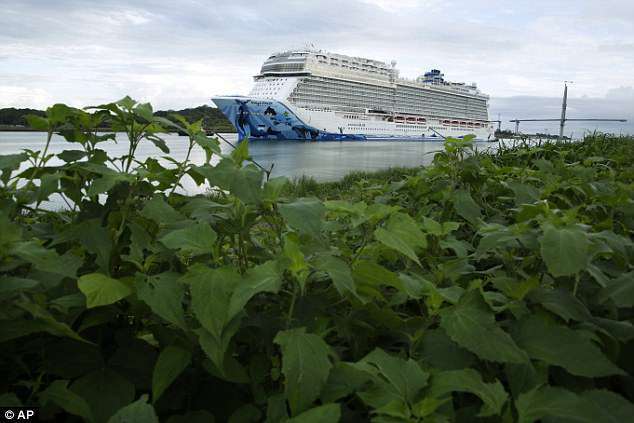 The ship set sail through the 48-mile waterway Monday in in Agua Clara, Panama. 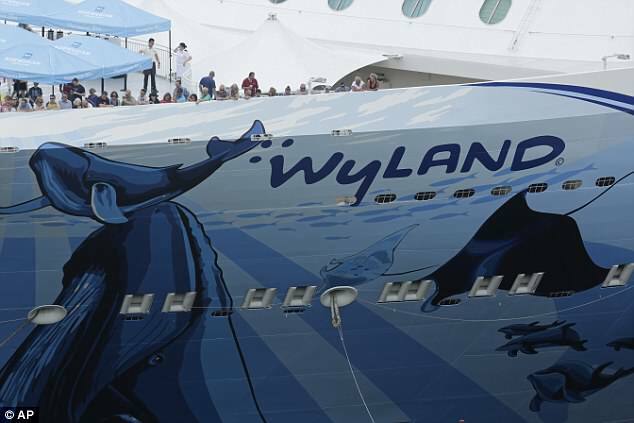 Norwegian Bliss begun its U.S. inaugural tour with stops in New York, Miami and Los Angeles before a christening in Seattle kicking off a season of cruises to Alaska. The ship’s seven-day cruises to Alaska begin in June and will include one port call in Victoria, British Columbia, Canada. The ship’s features include a race course for electric go-karts, laser tag, a waterslide with a tube that swooshes you along the side of the ship and an observation lounge for enjoying Alaskan scenery. It’s also got a mojito bar, cigar lounge, brew house, Jimmy Buffet’s Margaritaville At Sea and Q Smokehouse, a Texas barbecue restaurant. 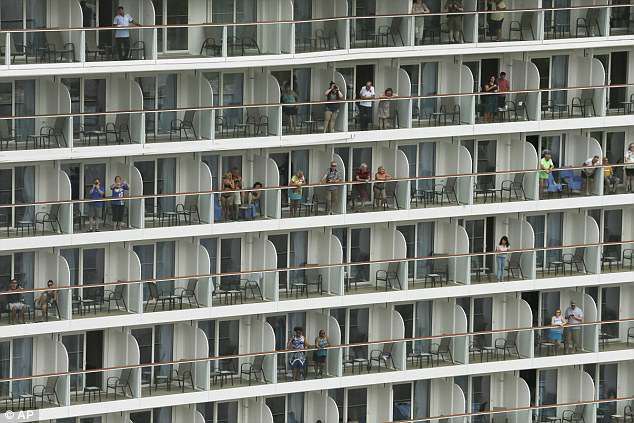 That’s a lot of people aboard one ship! As it repositions from the Atlantic to the Pacific, it will become one of the largest ships to ever navigate the Panama Canal. 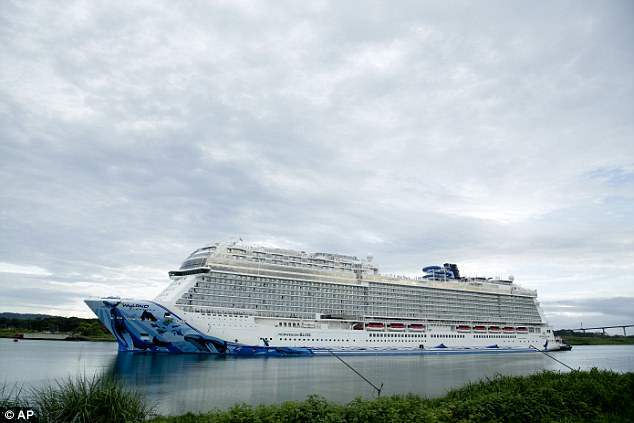 Norwegian Bliss measures 41 meters wide and 333 meters long (135 by 1,093 feet), while the canal is 50 meters wide and 400 meters long (164 by 1,312 feet). Norwegian Bliss is the largest ship in Norwegian’s fleet, with 20 decks and a capacity of about 4,000 passengers.